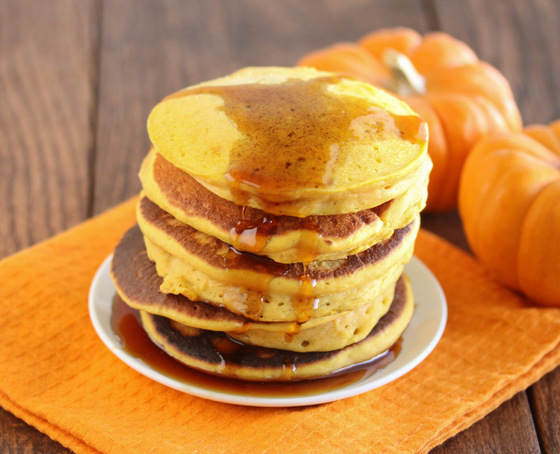 The other weekend, we went out for breakfast and I ordered the seasonal pumpkin pancakes. Normally this is a favorite of mine, but the version at this particular restaurant was not a good one. 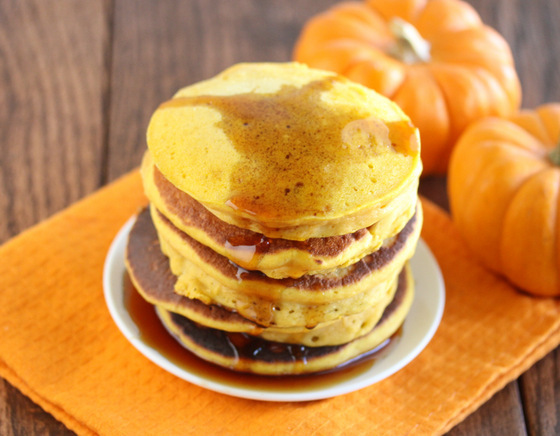 The pancakes were too wet in the center and the pumpkin spice overwhelming. Mr. P wouldn’t even help me finish them. Unsatisfied, I went home and made a batch of homemade ones. I admit, I cheated a little on these. I didn’t want to experiment and end up with a failed batter so I used Bisquick as a base and added pumpkin puree to the batter. These pumpkin pancakes came out quite nice. 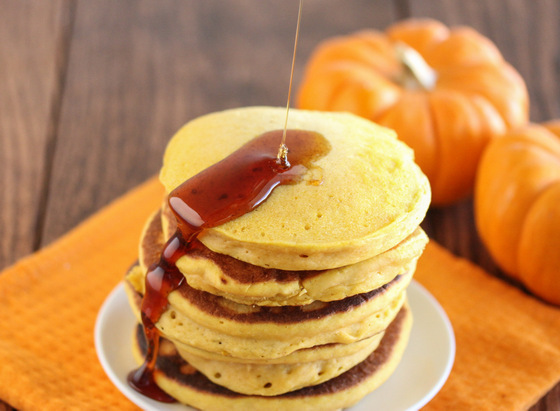 Not as good as a completely made from scratch ones, but I was in a hurry to eat proper pumpkin flavored pancakes and these did the trick. Whisk all ingredients into a medium bowl until milk, eggs, and pumpkin are fully incorporated. It’s okay if bisquick lumps remain. Cook according to box instructions or how you normally make pancakes.